Are US firms planning to hire international MBA graduates in 2018? The Graduate Management Admission Council’s survey shows US hiring of international MBA graduates has "softened". It's such a hassle to get the H-1B visa: an employer-sponsored visa that allows most international students to work for up to six years in the US that fewer American companies are taking a chance on international MBA graduates. 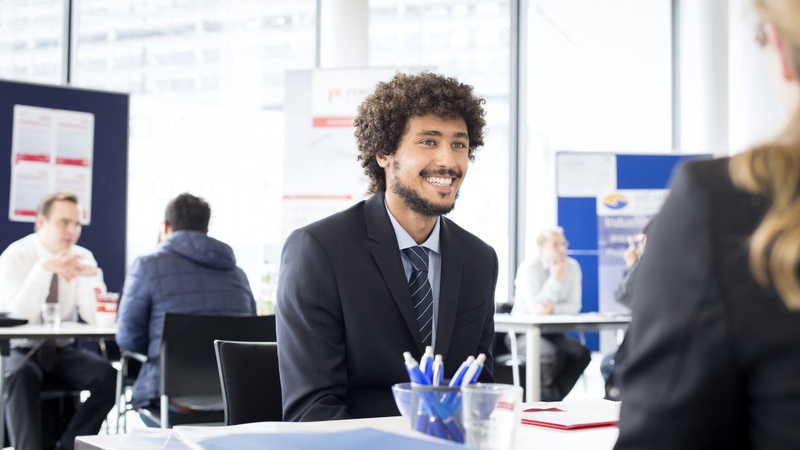 Roughly 47% of large US companies said they plan to or are willing to hire international talent in 2018 —down from 55% that had such plans in 2017, a survey by the Graduate Management Admission Council (GMAC) shows. In comparison, 65% of European employers plan to or are willing to hire international talent in 2018 compared to 64% in 2017. NPR reported that following the Trump administration's executive order last spring encouraging employers to "hire American," the US Citizenship and Immigration Services has requested “further information” from a rising number of H-1B applicants, “lengthening their time of uncertainty” as they wait for word about whether they can stay and work in the US. Among US employers, 66 percent of technology companies and 63 percent of consulting firms plan to or are willing to hire international talent — the highest rates across industries. About a quarter of US companies plan to place new hires in roles based in East and Southeast Asia (27%) and Central and South Asia (22%). “We usually have job openings in the students' home country and expect them to start in their home country verses requiring sponsorship,” an employer told the GMAC survey. Overall, 81 percent of responding companies plan to hire MBA graduates in 2018, despite slight declines in projected hiring among US and European employers. Demand for MBA talent is strongest in Asia Pacific, where 90 percent of employers plan to make MBA hires in 2018 — the same share as last year. Around the world, MBA graduates continue to command a salary premium relative to direct-from-industry hires and bachelor’s degree hires. US companies will offer a median starting base salary of $105,000 to MBA graduates in 2018. Fifty-six percent of US companies will offer signing bonuses to new business school hires. The median bonus will be $10,500. Thirty-six percent of Asia-Pacific companies, 30 percent of Latin American companies, and 20 percent of European companies will offer signing bonuses. The median bonuses will be $3,500, $3,000 and $9,500, respectively. Data analytics continues to be in high demand. Overall, 71 percent of employers plan to place recent business school graduates into data analytics roles in 2018. Thirty-five percent of companies hired Master of Data Analytics graduates in 2017 and 52 percent of companies plan to hire them in 2018.